The client is leading Portland, USA-based company which focuses on providing clients with visual marketing solutions. Their solutions are aimed to inspire, transmit, and describe their client's businesses. The client was looking for a professional image editing service provider who could help them with panorama stitching services. They wanted us to stitch real estate images together which would give the image a professional and authentic look. The client was unsure about outsourcing the entire project to us and so they decided to a trial project with us. During the trial, the client provided us with 3-5 images to be stitched together. The input was provided via Google Drive. We assigned one resource for the trial project who used Adobe PTGUI and Photoshop to stitch the images together within an hour. The client was highly impressed by the trial image which we stitched together into a panorama and they decided to outsource the entire project to us. They wanted us to create about 800-900 panoramas during the project hence we assigned 4 full-time resources for the project. 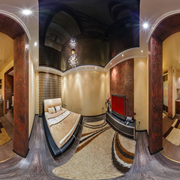 Our team was able to deliver about 300 panoramas in a month and were soon able to finish the project on time. 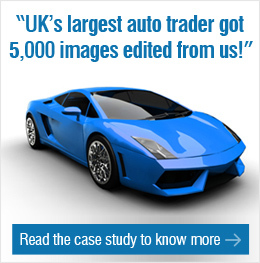 The client was extremely delighted to see the results created by our experienced and skilled image editing team. They were not only impressed about the turnaround time with which we delivered the images but also the cost-effectiveness of the entire project. They were able to save about 50% of the total costs by outsourcing panorama stitching to us. Outsource2india has been a leading provider of real estate image stitching services in India and a plethora of other image editing services to clients around the globe. Our team comprises some of the most qualified and talented image editors who are capable of leveraging any image editing tool and deliver high-quality results. We leverage the latest tools and technologies to cater to every single need of the client within a quick time. If you are looking for a high-quality and cost-effective real estate image stitching service provider, then you have come to the right place. Get in touch with us today!